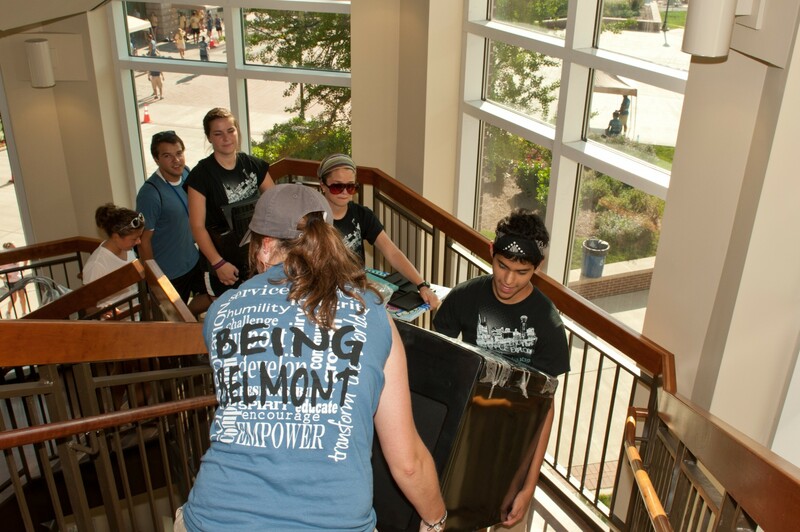 At Belmont, we understand the importance of having a positive transition into your collegiate experience. We want to assist you in feeling at ease as you start to navigate this process and transition into living in a residence hall. To better accommodate this transition, the Office of Residence Life at Belmont University has partnered with Bed Bath & Beyond to help our incoming students even more through their Campus Ready Program. Campus Ready is a partnership between Bed Bath & Beyond and the Office of Residence Life at Belmont University that allows incoming students to purchase anything from the Bed Bath & Beyond website and have it delivered to campus, where it will be waiting in the room when they arrive for Move-In Day. Additionally, we also are providing links to other necessities, such as personal property insurance, hall furniture (specifically guardrails), and hall-specific items. We’ve got your back! We deliver your purchased items to your room. We take the next step by delivering your purchased items to your room so they will be waiting for you when you arrive to campus on move-in day! Therefore, you will have fewer things to transport, fewer things to move in, and fewer last-minute trips to the store. We want to give you the ability to pack a few more things that you thought you would’ve had to leave behind! Family and friends, if you are looking for a great graduation gift to get your incoming Belmont student, the Campus Ready program is the best place to start. You wouldn’t want your gift to be left behind at home, so we will make sure that your gift will be delivered and waiting for them in the room when they arrive to campus! Our goal as a department is to provide quality products to our incoming students through our partnership with Bed Bath & Beyond, as well as making the transition to living on campus starting with Move-In Day as easy as possible. If you have any questions regarding the Campus Ready program, contact Derian Hamblin, Residence Director of Wright Hall if you have any questions by emailing her at [email protected].